Thanks for stopping by! 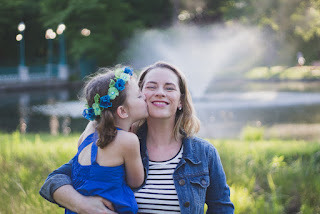 We are the moms of Grace and Josie and the creators of this blog. After passing down all of the adorable baby clothes from Josie to Grace we had the idea to share them with everyone (and keep track of the memories ourselves) by documenting them with our blog. We want to see your perfect baby/toddler outfits too so please don't hesitate to share them! Melissa is a Rhode Island native currently living in Southern Rhode Island with her husband and two daughters. She has been blogging since 2005 and currently owns her own Digital Marketing Agency Belle Poppy Digital. Please check it out if you are in need of fresh marketing ideas for the digital age!